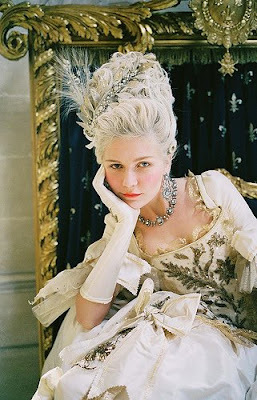 I watched Marie Antoinette last night...and wow!! The costumes were amazing...and I love all of her hairstyles...and hats. But, I think that poor woman had a really sad life. I'll stick to my jeans and role of a housewife. Not as glamorous...but much easier! I found this cute oval tin at the thrift store and decided to make a pin cushion. It's great because it's bigger than my last one. Last night, I tried something else new to me. I made a topiary. I used a little clay pot...just painted it with white acrylic paint. I painted the styrofoam ball so the hot glue would stick to it better, and not melt the ball. I wrapped a dowel with some pretty soft green ribbon...used floral foam in the pot to hold the dowel, and topped it off with paper crimps. I inked the pot and used a script stamp all around it. Then, I glued on paper roses and added poofs of cream tulle all around the ball. I just kept adding to it until the whole ball was covered. I tied a bow to the dowel, using the same pale green ribbon and added some flower stamen to the pot. It was a fun project, and I think it looks very spring-y. 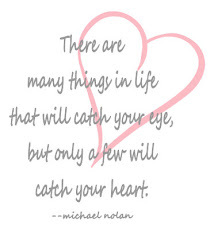 Today, I'm going to do some cleaning...and a little bit of scrapbooking...or maybe alot! I like what you did. I think it turned out very pretty and springy.I was feeling crafty yesterday, probably because we got more snow and there isn't much to do outside. So I bought a few things in hopes of making some new pillow covers.I'm not the best sewer but I can sew a straight line!..we'll see how the day unfolds! I love your pin cushion! You did an amazing job. That topiary tree is tdf...Just so pretty.... I loved that movie also..
PS. 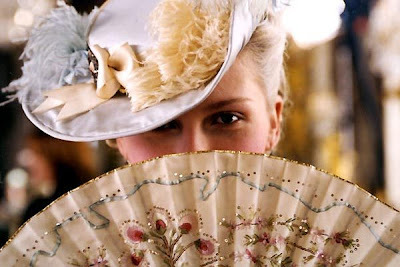 I have heard so much about Marie Antionette this last week or so, I really need to go get that movie!! What a lovely little tree, Debi!! Looks wonderful!